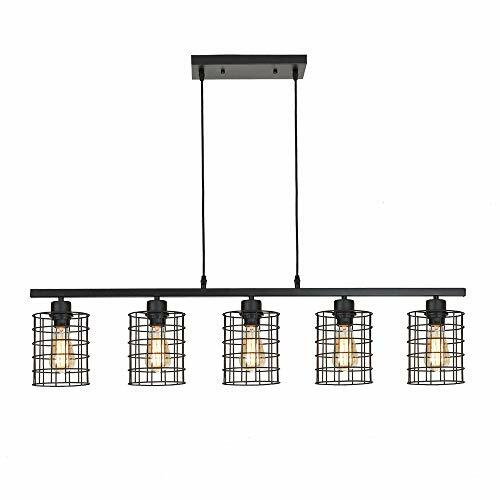 ZZ Joakoah 5-Light Kitchen Island Lighting, Metal Cage Industrial Chandelier Pendant Ceiling Light Fixture for Dining Room Living Room, 5×E26, Black Painted Finish. Product prices and availability are accurate as of 2019-04-19 22:22:14 UTC and are subject to change. Any price and availability information displayed on http://www.amazon.com/ at the time of purchase will apply to the purchase of this product. 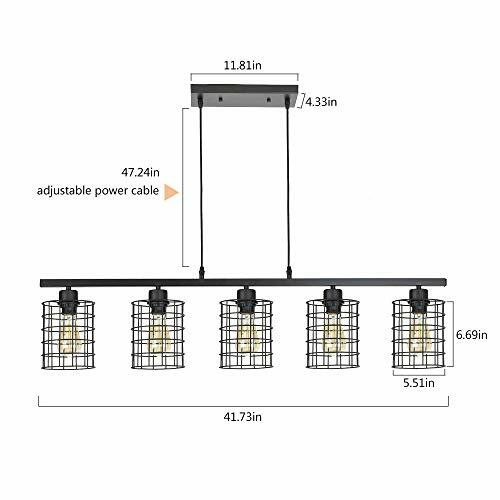 Suitable for kitchen, garage, restaurants, bedroom, bathroom etc. 1. Package includes english manual, please follow the instructions to install,We suggest installation by a licensed electrician. 2. 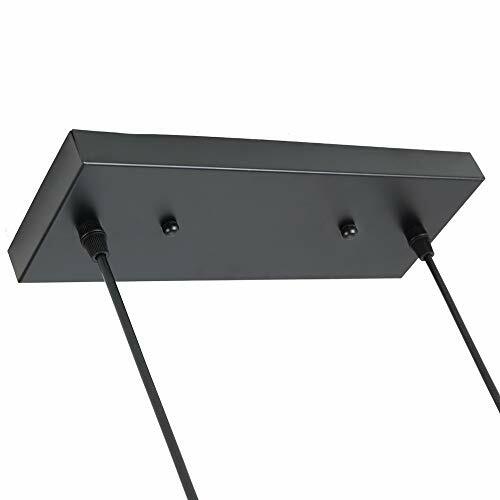 Please make sure you have cut off the electricity supply before installation;Do not connect electricity until your fixture is fully assembled. 3. If you do not understand how to install, pls contact a professional electrician directly for help. 4. Our products all have 2 years quality guarantee,All products are tested before delivery, If any problem, please contact us we'll supply our best service for you. 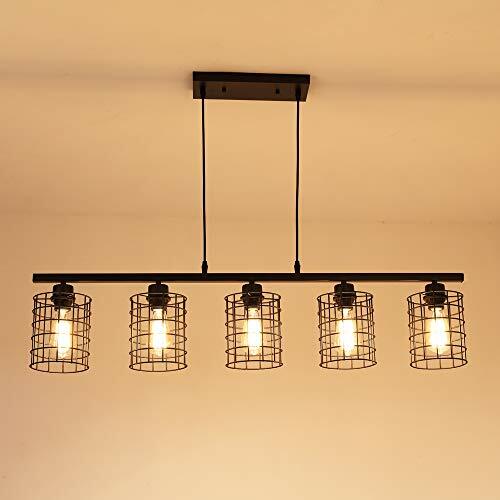 ?Vintage sytle Edison wire cage chandeliers, 5 lights cord adjustable island light. 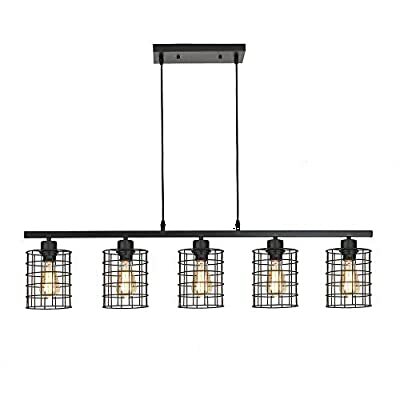 ?Come with 2 adjustable cords to customize your lighting reference, the hanging cable length max is 47.24 inch ?5×E26 based, hard wired, type of bulb: LED, CFL, Halogen, Incandescent (bulb not included). 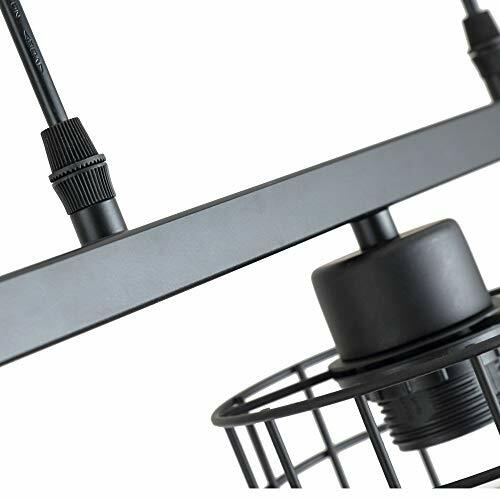 ?Easy install, well-package and Users'manual and additional accessories, ensuring your installation. 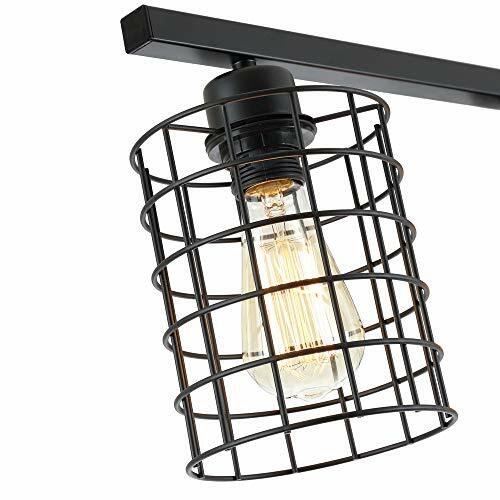 ?Perfect for kitchen island, hallway, dining room, bedroom, cafe, bar, club.